You don't have to settle for women's deodorant if you're looking to go natural. 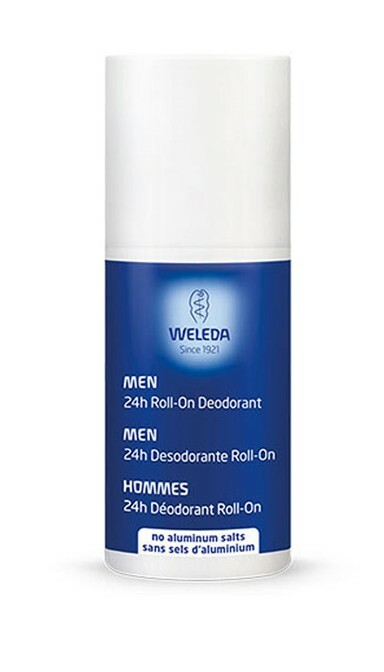 More and more brands are offering all natural and organic deodorants formulated just for men. Check out the best natural deodorants for men that will fight odor and keep you at the top of your game. Schmidt's makes vegan deodorant that is cruelty-free and works just as efficiently as deodorants laden with chemicals. The aluminum-free formula lasts all day and is considered one of the best on the market. It's also free of parabens, phthalates, and artificial fragrances that can irritate skin and cause serious health side effects. The company makes unscented deodorants as well as naturally fragrant options that are scented using essential oils, jasmine tea, and spices. Blends like Lily of the Valley are uplifting and fresh while Lavender and Sage are tranquil and soothing. 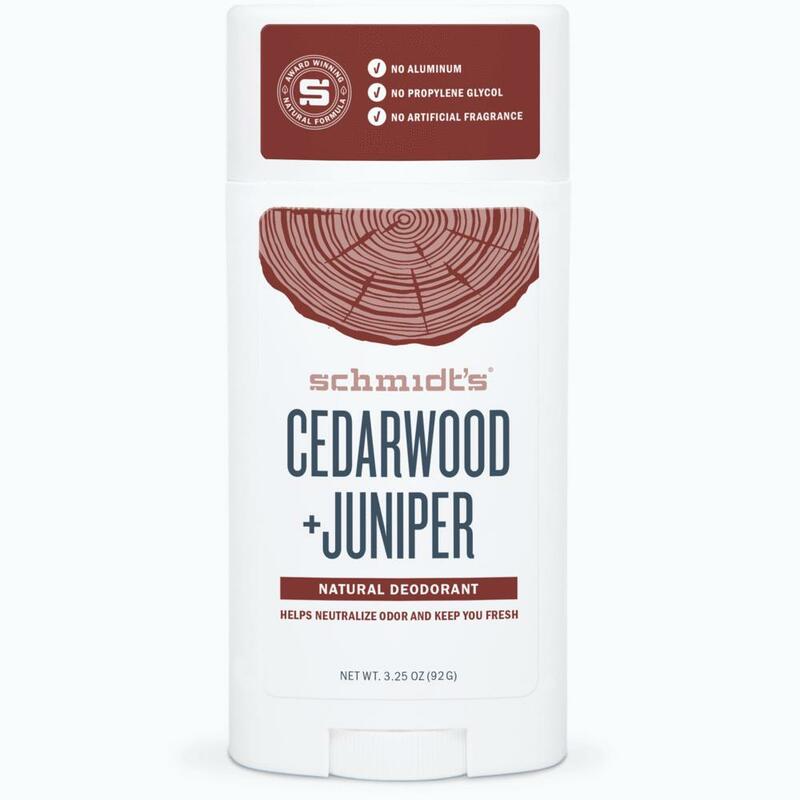 The Cedarwood and Juniper blend is a great choice for men looking for a warm and woody scent with all-day staying power. Tom's of Maine offers powerful smell protection at drugstore prices. You can find their body care products in big box stores such as Target as well as directly on their website. Their deodorants offer a smooth consistency that makes application quick and easy. Most contain a mixture of vegetable oils including coconut oil and aloe vera, making it suitable for sensitive skin. Their products don't contain any artificial colors, fragrance, or preservatives and are not tested on animals. Tom's of Maine offers stick deodorant as well as crystal roll-on options. Some of our favorite scents for men include their Tea Tree, Deep Forest, and Maine Woodspice deodorants. 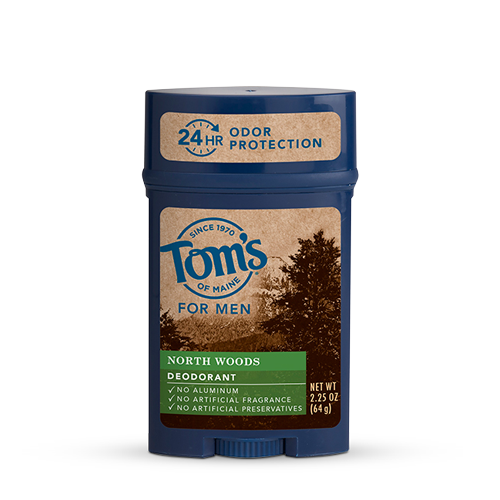 If you can't quite commit to giving up your antiperspirant, Tom's of Maine offers an all-natural antiperspirant for men. Although it does contain aluminum, it has zero petrochemicals and artificial fragrances. 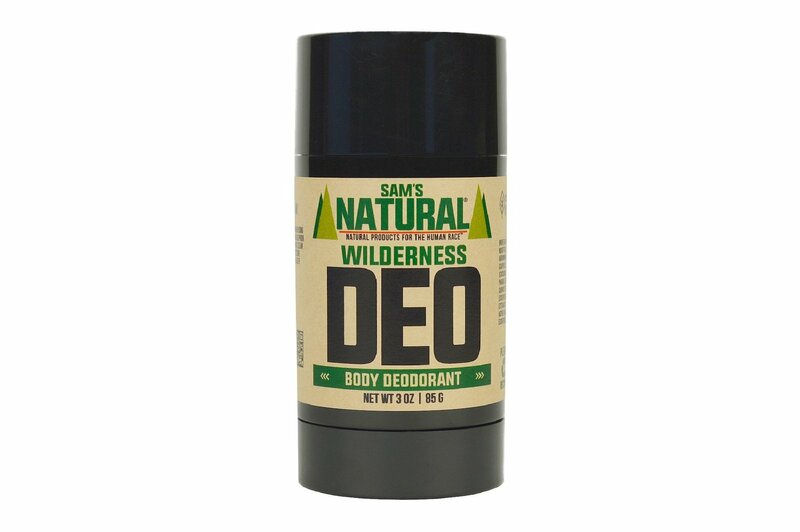 Sam's Natural deodorants sport masculine packaging that is right at home in your gym bag or locker. They've got your back when it comes to odor protection and deliver woodsy scents like cedar, tobacco, and leather. They offer a total of 17 different fragrances all made with 100 percent natural ingredients. Lavanila deodorants are chock full of antioxidants and essential oils that protect underarm skin and prevent stink all day. They've won awards from Allure and other magazines for their powerful deodorant sticks. These deodorants are free of parabens, aluminum, and other harsh chemicals such as propylene glycol. You can purchase Lavanila directly on their website or online at Sephora and Amazon.com. The Sport Luxe version offers long-lasting protection to keep you smelling good even after a hard workout at the gym. Vanilla and fruit blends add a fresh feel and invigorating fragrance. They also offer travel-sized mini deodorants so you can take smell protection on the go. 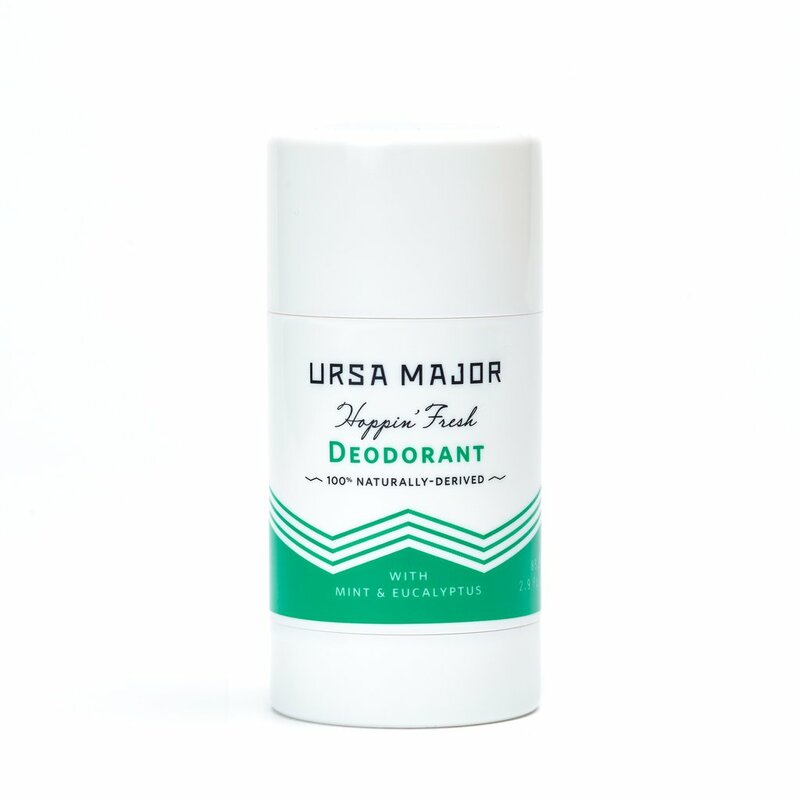 This Ursa Major deodorant is an award-winning formula that is 100 percent naturally derived. The healthy deodorant offers a fresh, cooling feel and aroma upon application. It features a smooth texture that glides on easily and won't stain clothing. The active ingredients in this deodorant include hops, baking soda, kaolin clay, and eucalyptus. The hops and baking soda neutralize acid and inhibit odors by eliminating bacteria. The kaolin clay absorbs moisture while the eucalyptus adds a fresh scent. The deodorant also contains saccharomyces ferment, which is a probiotic enzyme that absorbs odor from sweat glands quickly. 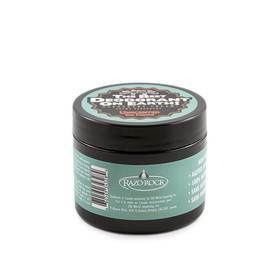 RazoRock deodorants contain three base ingredients: natural soda, non-GMO cornstarch, and organic vegetable glycerin. They don't contain any chemicals, artificial fragrances, or parabens. They offer scented options that use essential oils to add fragrance. This deodorant comes as a paste that you apply using your fingertips. Apply first thing in the morning after showering. RazoRock deodorants won't clog pores and don't prevent sweating like many antiperspirants. Green Tidings uses natural ingredients like shea butter, baking soda, and candelilla wax to prevent smelly body odor. The deodorants contain tapioca powder, which has antibacterial properties to eliminate odor-causing bacteria. All Green Tidings natural products are non-toxic and free of sulfates, parabens, aluminum, mineral oils, and phthalates. Essential oils such as tea tree oil and lavender help scent the deodorants or you can opt for an unscented variety. 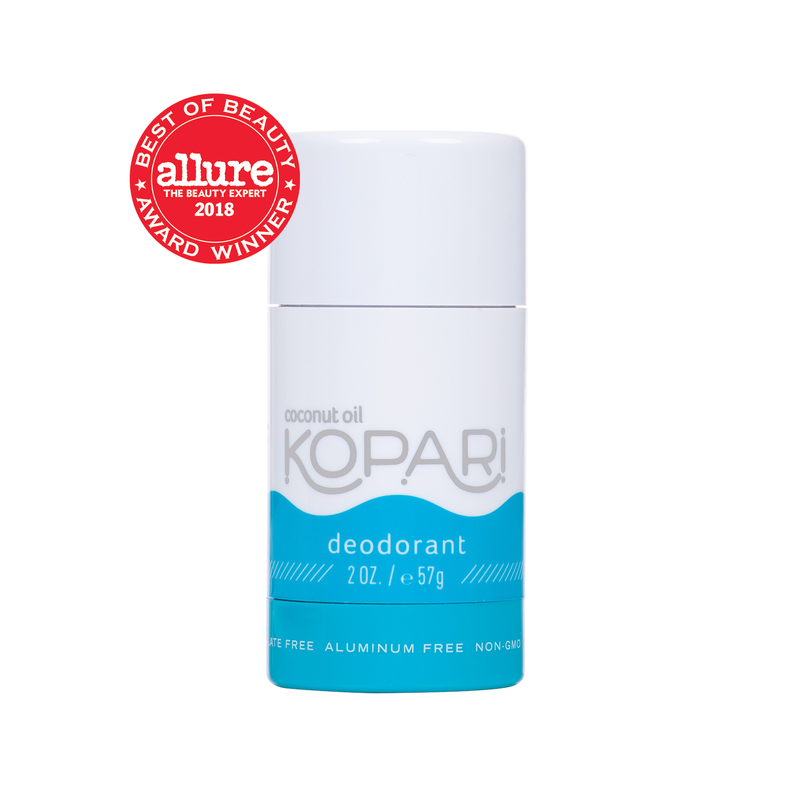 Kopari coconut deodorant uses a 100 percent natural formula supplemented by coconut oil to prevent odor. The subtle scent of coconut adds a fresh air to under arms and the wet formula dries quickly upon application. To be honest, this natural deodorant smells great, but should be reapplied after eight hours for the best results. Not quite an all-day wear or intense workout option, but a good choice for more mellow days. Weleda has developed all natural products since 1921. This deodorant features licorice root and witch hazel that allow your skin to breathe and sweat while blocking offensive odor. The formula doesn't contain any aluminum salts, artificial fragrances, or chemical preservatives. The easy to use deodorant is dermatologist tested and suited for all skin types. 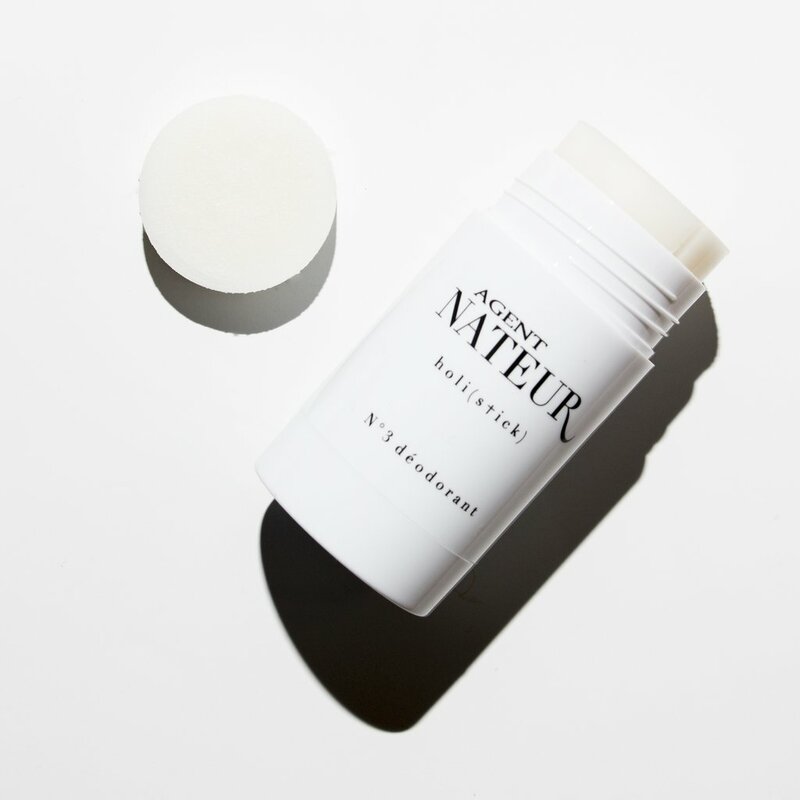 Agent Nateur deodorant features organic ingredients such as avocado butter, coconut oil, baking soda, and beeswax to stop underarm odor in its tracks. They also offer a vegan formula that doesn't have beeswax. Organic honey and lavender offer a subtle scent and soothe skin that can get irritated by sweat and friction. The formula leaves little to no residue and won't stain clothing or leave unsightly white marks. 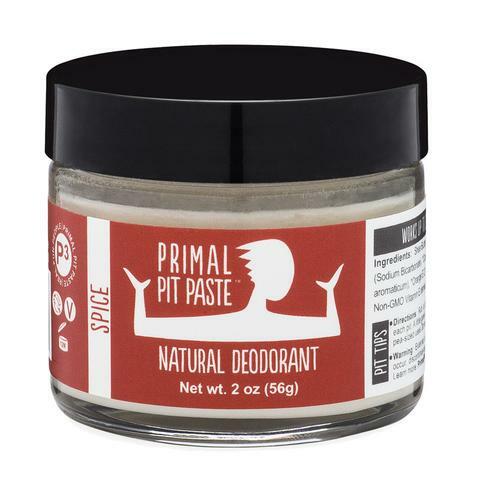 This Primal Pit Paste deodorant smells like a hot cup of masala chai. The earthy, warm fragrance make sit perfect for men who don't want floral scented deodorants. This pit paste contains just ten ingredients including shea butter, arrowroot powder, baking soda, candelilla wax, coconut oil, clove bud essential oil, orange essential oil, lemon essential oil, cinnamon leaf essential oil, and vitamin E.
Rub the paste directly onto armpits and let dry for five minutes before getting dressed. Each jar offers protection against odors caused by warm weather, intense workouts, and daily activity. Just because you sweat doesn't mean you have to stink. All natural deodorants for men allow the body to cool down by sweating—a completely natural bodily function. Natural ingredients such as arrowroot powder, cornstarch, and baking soda absorb bacteria that cause bad odor. Other ingredients such as essential oils have antibacterial properties that eliminate these bacteria before they can cause offensive smells. Glide on a natural roll-on deodorant, swipe a deodorant stick, or apply a pit paste to smell great all day long without harmful chemicals.